4 Bedroom Detached House For Sale in Fleet for Asking Price £535,000. 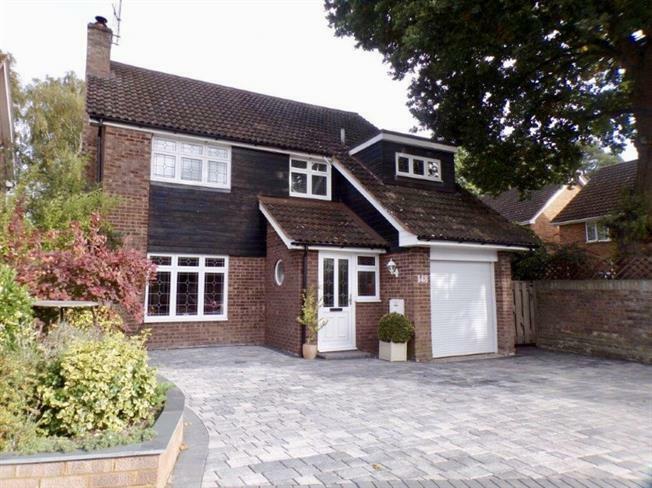 A very well presented four bedroom detached family home. The property offers a lounge with fitted wood burner, large kitchen diner, conservatory, utility room and downstairs WC. Upstairs there are four bedrooms, one of these with an en suite shower room and a family bathroom. The property also features gas central heating and double glazing. Outside there is a landscaped rear garden , garage and parking for several vehicles.